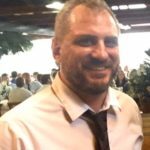 David Hilton reported on the hysterics triggered on the left by Pauline Hanson’s motion to the Senate that It’s Ok to be White. Since then, even Australia’s so-called “conservative” government has attempted to backpedal, in response to criticism of the fact that many Liberal and National MP’s voted in favour of the motion. 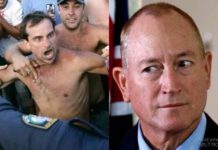 The Bad Boy of Australian Politics, Senator Fraser Anning, has released two very interesting media statements in the last two days on this topic. This is excellent for Australian politics, for the existence of our people and for the future of Austrlian children. As Adam Piggott has pointed out, our ostensibly “conservative” government no longer upholds conservative principles. Like other cuckservative parties in the West, it bases its so-called “principles” on cementing the social victories the left achieved yesterday, while mildly opposing the latest insane social cause the left is pushing today, only to fold tomorrow and uphold the new leftist position, while the left moves on to a new crazy frontier. Finally, in the heart of political power in Australia, we have the potential for the dynamic to work the other way, back toward sanity. 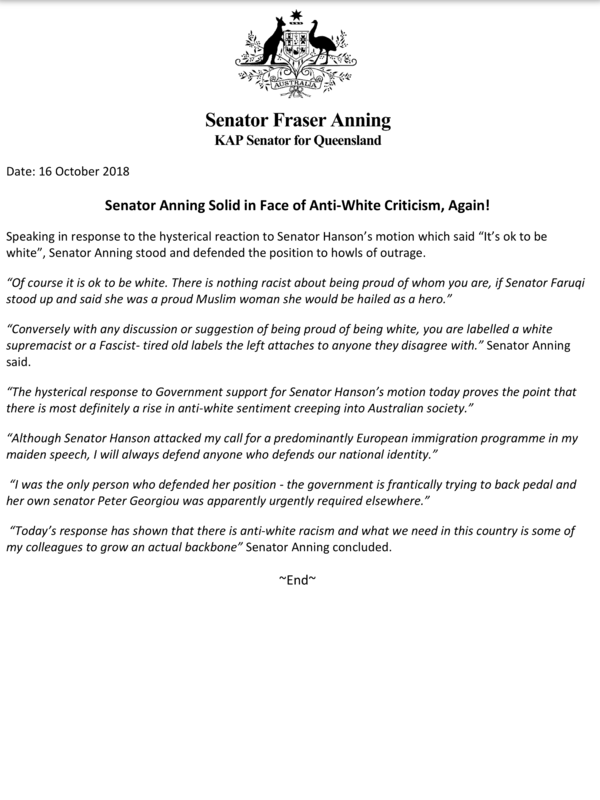 Pauline Hanson has been roundly criticised for her failure to support Senator Anning after he was condemened for upholding traditional Australian values in his maiden speech. 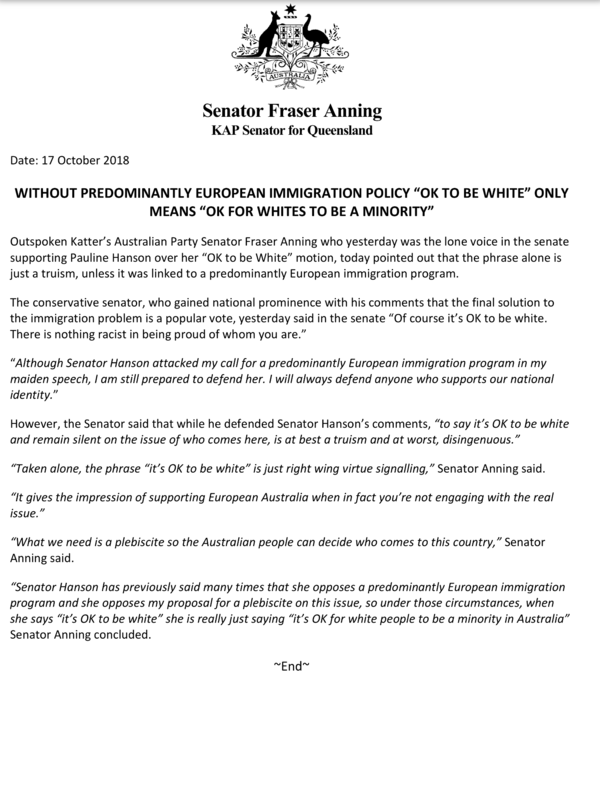 Aware that she cannot be seen to be betraying her base, her putting forward the “It’s Ok to be White” motion can be seen as a way of reaffirming her commitment to real Australians and their desire to end mass immigration. 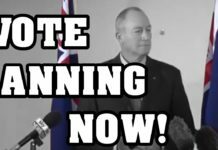 Senator Anning is her competition, and this excellent return of serve will keep the pressure on Pauline not to cuck, and could increase the momentum to achieve a policy victory – to ask real Australians, for the first time ever, if they are actually Ok with being demographically displaced via mass immigration. 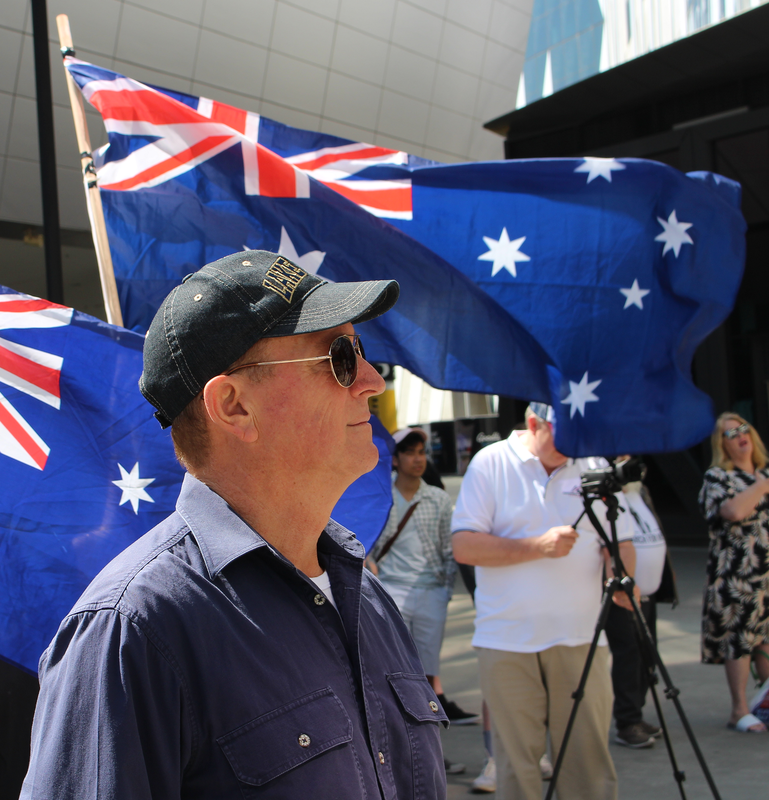 Finally, if both Anning and Hanson achieve greater political support in the polls due their genuine support for an end to mass immigration, this may serve to pull the Liberal and National Coalition back toward the views of mainstream Australians regarding immigration. 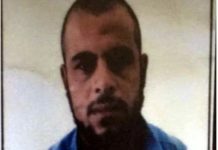 Previous articleBreaking! Di Natale and Hinch say Omo is Racist! The best thing to have happened was the left rejecting the motion. It should now be blatantly obvious how much the government hates us for being white and is hell-bent on our genicide. The last thing we need is for cuckservatives to get back in their comfort hole thinking the war is over. I doubt we are mainstream to be honest. Once we were and we are still away from the big cities. I reckon it’s done and dusted though and each year the maths works against us. Immigration has become the central political issue, globally. It’s the fault-line that divides the Left from the non-Left. Well done Fraser for pushing the Overton window further, but I really have no hope in a plebiscite or vote being a resolution. The left have stacked the numbers and gamed the system.